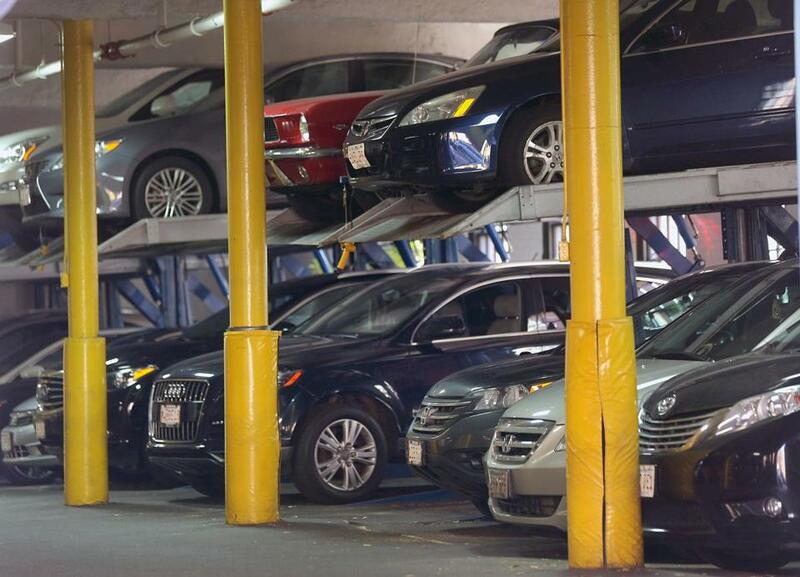 A look inside the Brimmer Street Garage in Beacon Hill. As if more proof were needed that the city has gone nuts over parking, the asking price for a briefly listed single parking spot on Beacon Hill has hit $650,000. After four days on the market, the listing was “temporarily withdrawn” from MLS on Tuesday, but if it comes back on the block, and gets its asking price, the parking spot would be more expensive than half the condos on the market in Boston, according to David Bates, publisher of the Bates Real Estate Report. And at $3,801 per square foot, the spot in the Brimmer Street Garage would be pricier per square foot than the list price for the penthouse at Millennium Tower, Bates noted. Indeed, at $650,000, the 171-square-foot slip of space was uncomfortably close to the $643,750 median price of a single-family home in Andover, according to September data from the Massachusetts Association of Realtors. 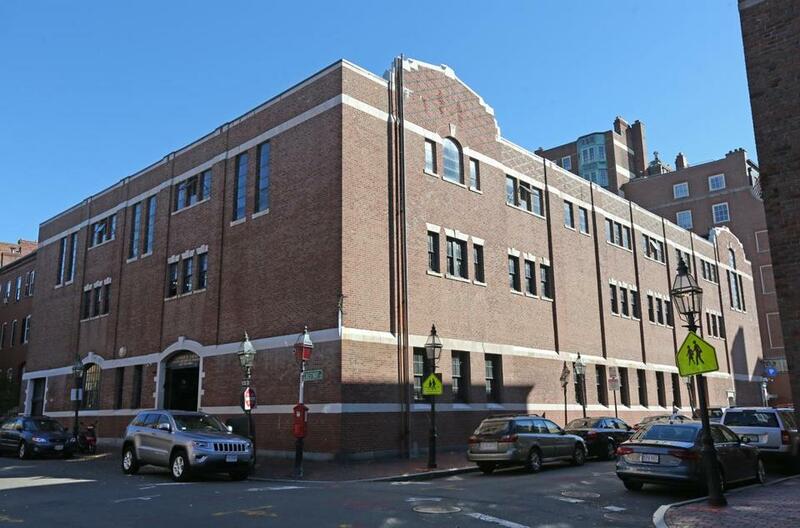 It’s enough to make the tandem Back Bay parking spots that sold for $560,000 in 2013, and the single Back Bay spot that set a record when it sold for $300,000 in 2009, look almost reasonable. 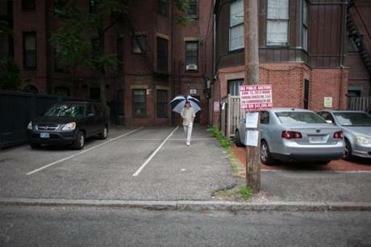 A parking spot priced at hundreds of thousands of dollars is not a new concept in Boston. Want to add insult to injury? Because the spot is technically a condo — the garage was converted to that form of ownership in 1979 — there’s a monthly fee of $250, according to the MLS listing. And don’t forget taxes. The city has assessed the space at $230,000, putting the 2016 tax bite at $2,785. If the space sells for its asking price — or anywhere near it — it’s believed that it would become the city’s most expensive parking spot, by a fair amount. In the Brimmer Street Garage, spots have regularly gone for $300,000 or a bit above. In October, one sold for $390,000, according to public records. The three-story brick Brimmer Street Garage began as a horse stable, according to Arthur Ledoux, a supervisor who has worked there for 36 years. Aaron Cohen, the agent on the listing — who is also the spot’s owner — did not return calls Tuesday, so no word on why the listing was withdrawn, or what makes the spot worth so much. A view, perhaps? But this is, after all, a garage with its own website — complete with a photo gallery of employees and the building’s lovely exterior — and a sales pitch worthy of Donald Trump. Bottom line: You’ll be lucky if they let your car in. The Brimmer Street Garage features some extremely expensive parking spots.